We supply a wide range of Portable Cabins, Porta Cabins and Portable Buildings throughout the UK; All Cabins can be delivered by a Hiab Lorry and can be collected the same way. If you need a crane to lift the cabin onto your property, there will be a crane provided on the back of the lorry. Buy or rent a cabin from us with complete confidence and gain the satisfaction all our customers deserve. Mover Box Containers are very popular these small robust containers can be used for a variety of things including storage and for moving furniture, or equipment. Commonly used when moving house they can be delivered to your premises before the actual move so that you can fill them up and have them moved to your new premises to save the hassle of several runs. The Mover Boxes are one trip shipping containers so they are not specifically built for shipping rather for storage and are of an extremely high build quality to ensure that they last longer and so that they look better on your premises. These Patented Mover Box Containers come fully fire proof and water proof so you can be sure of the safety of the contents inside. They can be used by removal companies, construction, offices or for general everyday use at home. For more information and a free quote on our Mover Boxes or any of our selection of Portable Buildings fill in our Quick Free Quote form and we will get back to you immediately. 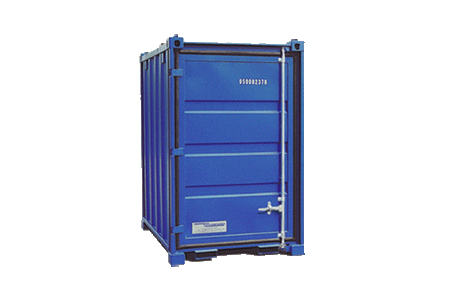 We stock a huge variety and many different sizes of Shipping Containers – contact us now for a full range! Looking For A Portable Cabin? We stock all sizes and styles. Please contact us for any modification requests!